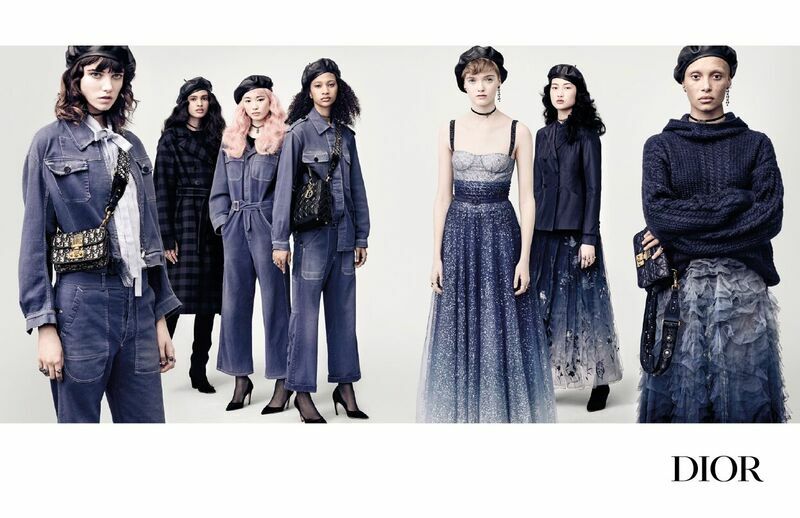 To capture this collection cast in a panoply of blue shades, Artistic Director of Dior, Maria Grazia Chiuri once again called on the talents of French photographer Brigitte Lacombe. With their unwavering gaze, their folded arms or hands in their pockets, the nine models have lost nothing of the assured attitude they exhibited at the Autumn Winter 2017-2018 fashion show. 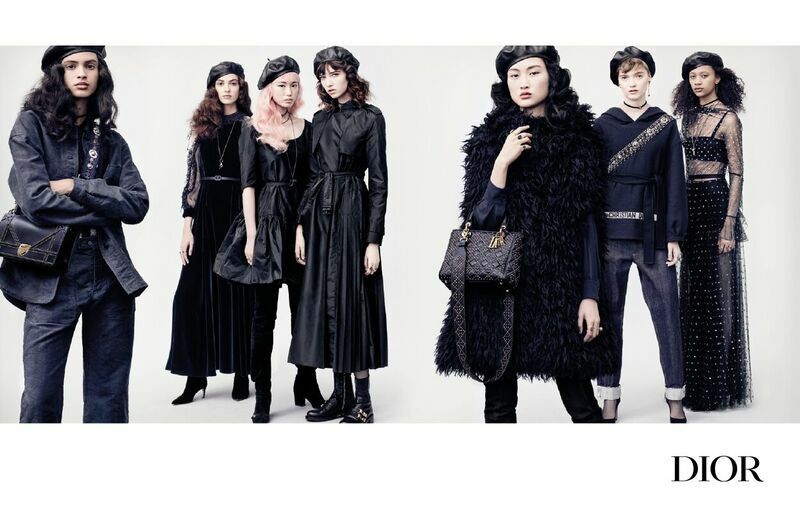 among them are Ruth Bell, already chosen by Maria Grazia Chiuri to embody the creations in her first collection for Dior, Fernanda Ly with her pink hair, Adwoa Aboah, a committed feminist who shares the same beliefs as the artistic director tirelessly promotes Brigitte Lacombe’s camera, they make up a group of young women with a strong yet affirmed style. Each possesses a unique personality and together they compose an image of a bold and daring Dior woman. being both united and staunchly individual, they ideally reflect the blue of the creations, a color rich in symbolism and meanings, which plays on the contrasts between the workwear spirit of denim fabrics and the nobility of royal blue velvet. This entry was posted in Ad Campaigns and tagged Brigitte Lacombe, dior, Maria Grazia Chiuri. Bookmark the permalink.